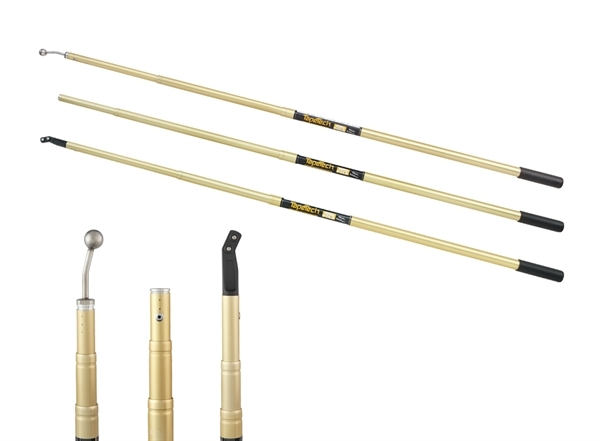 The TapeTech REK1 Versa-Pole kit provides all three extendable Versa-Pole handle options in one kit. Includes HRRE Extendable Corner Roller Handle, HFRE Extendable Corner Finisher Handle and HNRE Extendable Nail Spotter Handle. Adjusts from 38" to 95" (1m to 2.5m). Adjusts from 38" to 95"